HanaHotties are inspired by the wonderful flavors of Hana Maui, where the mountains flow gracefully into the sea. The constant trade winds keep the air so fresh and clean, it’s no wonder the fruits are so happy! Our fruits are straight off the tree. The Hawaiian chili peppers, soooo hot—a perfect complement for these sweet fruits. 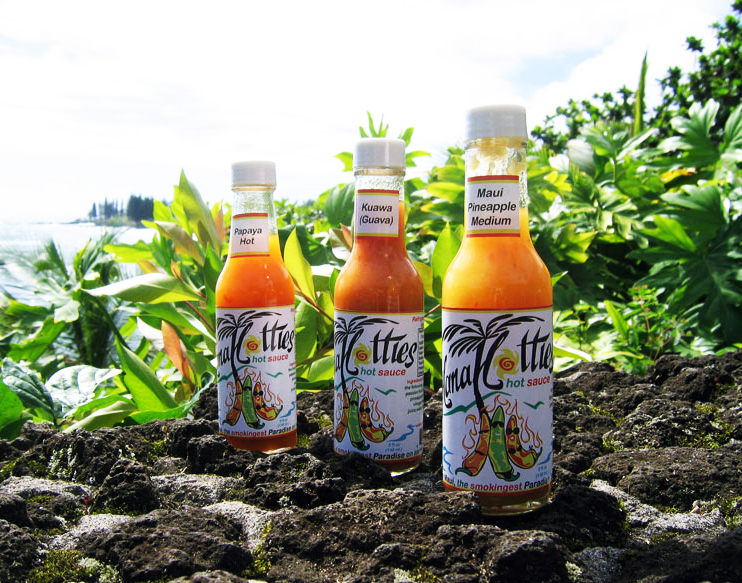 We bring these hand-blended sauces to your table with Aloha to be shared with your friends and family. Always free Shipping on orders over $100.